Last night the resolution brought by Councilwoman Castellano and Beth Mason was tabled and moved to the parking subcommittee in a party line 5-4 vote. The action was taken on introduction on a motion by City Council President Jen Giattino. While it moves to the appropriate subcommittee, Councilman Peter Cunningham stated a meeting will take place among its members next Thursday. The resolution sponsors were invited. The boot gets to live for another day as is. However, there is indications of changes where a combination of methods to handle parking offenses will impact the boot and the tow. One idea likely under consideration is to eliminate the application of the boot to Hoboken residents in most if not all instances. If this is part of the new formula, the boot will be part of the mix but not as onerous as currently deployed. 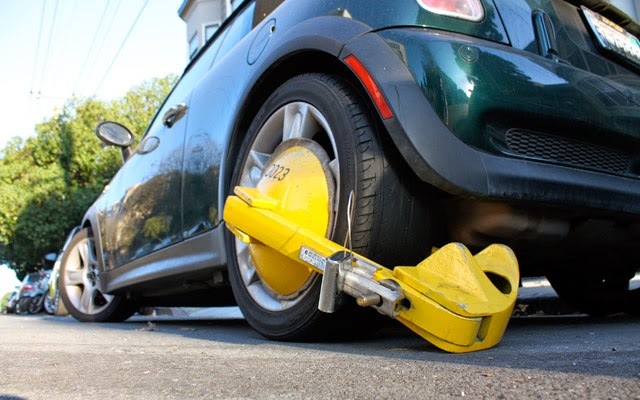 The Hoboken boot got the boot last night in the City Council when the resolution was sent to the parking subcommittee. There's likely to be a new mix of changes with the boot being deployed in fewer instances.